PACS , radiology , DICOM , teleradiology , Portalnd referring physicians. 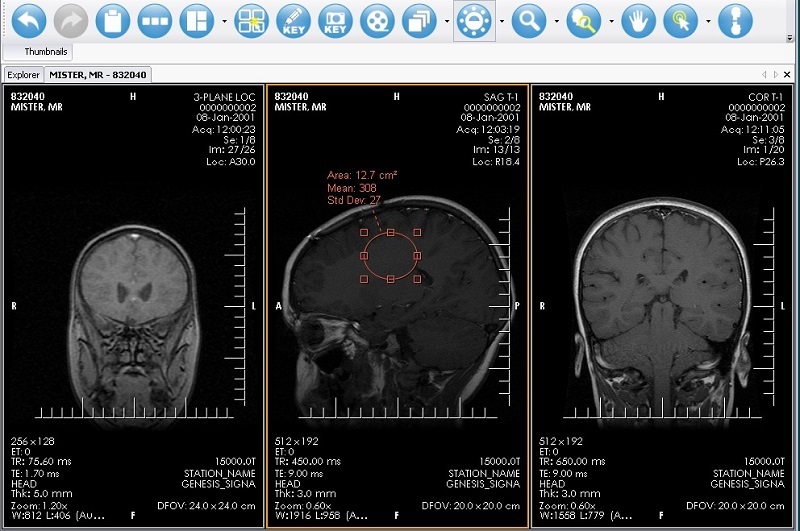 XRAYLINE Workstation is a powerful and intuitive DICOM viewer. It is suitable for use by radiologists and referring physicians. In addition to its numerous powerful viewing capabilities, it has a local personal archive server; with which you can store, forward, query and retrieve studies from modalities or other servers. XRAYLINE workstation is a DICOM viewer and a personal archive server at the same time on your local machine. It facilitates viewing, and also facilitates exchanging and communicating images if you are on the same network with your peers, PACS servers, modalities, etc. created 64 bit version in addition to the existing 32 bit version. modalities or other servers. XRAYLINE workstation is a DICOM viewer and a personal archive server at the same time on your local machine.